Whether you’re holidaying for a fortnight, a week or just a weekend, its easy to spend a small fortune no matter what destination. A break away to county Wexford doesn’t need to break the bank and so, we’ve listed a couple of suggestions to keep you entertained that are absolutely free! 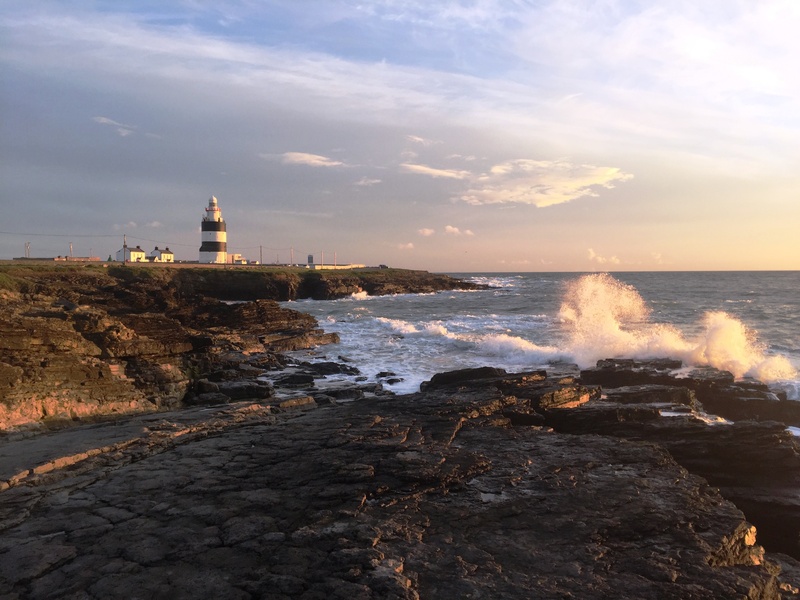 Wexford boasts a vast and bountiful coastline giving home to a number of beaches perfect for a brisk walk or relaxing stroll. 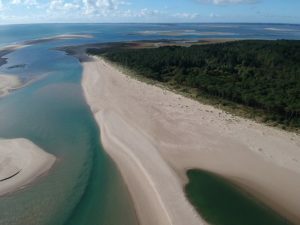 One of the interesting things county Wexford has to offer is the varying landscapes across the different parts of the county. Not only are there an abundance of benches but also forests, gardens and mountains such as Mount Leinster and the Blackstairs Mountains, which all make for the ideal route for a stroll. Wexford Walking Trails have created a range of quality walking trails varying in scenery so you choose from a selection every time. Sample some of the stunning gardens available throughout the county. 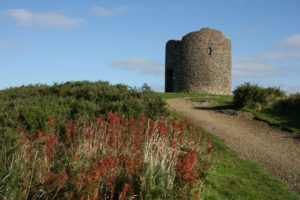 Enjoy a free guided tour of the Visitor Centre, observation tower and hides at Wexford’s Wildlife Reserve. Or play hide and seek amongst the trees of the Ravenwood Forest Walk in Curracloe or try a rambling forage walk, to hunt for berries, mushrooms and other edible plants, which you can take home. If you’re the active type why not bring your bicycle and cycle through the streets of many of Wexford’s historical towns and villages. Maybe you’re a real sporting type and want to try your hand at some water sports – Wexford’s coastlines and rivers offer the perfect base for some wind surfing, canoeing or kayaking that’s entirely free if you have your equipment to bring along. Take a day-trip to Kilmore Quay and visit the state of the art playground there, just beside the car park which overlooks the beautiful Saltee Islands.You can then take a walk down to the pier where there are usually some sea lions and fishing boats. The castle was built in the 13th century, possibly by William, Earl Marshall. Originally, the castle formed a square, with large corner towers. Only half of the castle now remains. This is the spot where Irish/English history begins. Strongbow was invited to Ireland by the King of Leinster whose castle this was. Enjoy a free tour, insightful guide and visitor centre as well as a walk around the stunning architecture. Not only are the views from the top of the hill worth the walk up, this landmark is of huge historical importance in county Wexford. Parking is free and you can read the stone plaque explaining the history associated with the place, a ruined tower and spectacular views. Sit back, relax and look down on Enniscorthy and the surrounding countryside and take time to contemplate on the sheer significance of what happened here. Designated a national monument in 1952, Tacumshane Windmill is the only surviving complete windmill of its kind in the Republic of Ireland. Built in 1846, it features a rare revolving straw thatch cap to catch the wind for its sails. Beautifully preserved and maintained, the key to have a peek inside is available from the adjacent Millhouse Bar & Restaurant. Come visit Seal Rescue Ireland for a unique and educational experience for all ages. They rehabilitate 60-80 seals a year that you are able to see up close. They are open everyday. They are a not for profit organisation that does not charge an admission fee but donations are suggested. Take a trip down to the Hook Peninsula. Ample parking is available and free of charge. 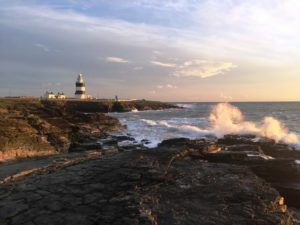 You can then choose to take in the sights of Ireland’s Oldest Lighthouse and the breathtaking coastal surroundings where it is common to spot seals, dolphins and whales from time to time. There is also a free Maritime Exhibition on site as well as a stunning little cafe. Picnic benches are also scattered around the grounds making it the perfect location for a picnic.